You cannot achieve a healthy home without correct ventilation. The modern home is now designed to be well insulated and more airtight than ever. This reduces the amount of heat loss from the home resulting in desirable lower energy usage and higher comfort. At the same time these measures, by their very nature, restrict all means of passively ventilating your home through the building envelope to achieve a healthy indoor environment. The solution is to use mechanical ventilation for your home. This ensures that correct ventilation can be provided to achieve a healthy indoor environment even in the best insulated and sealed homes. The most efficient, effective and reliable form of mechanical ventilation is Mechanical Ventilation with Heat Recovery (heat recovery ventilation), on a whole house system. On top of ensuring that your home receives the correct ventilation levels it also uses heat from the extracted stale air to preheat the fresh air delivered to the home. This complements all other energy saving measures in the home. 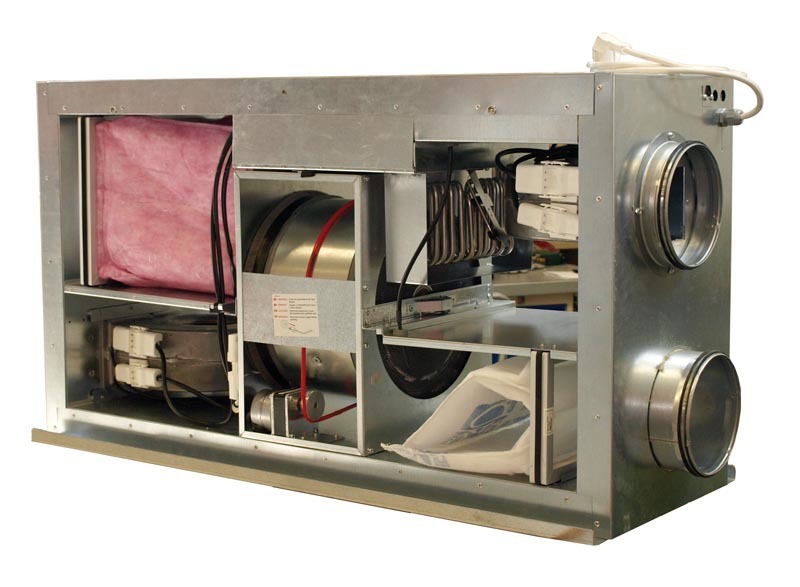 What is Mechanical Ventilation with heat recovery from Homecare Systems? A HomecAir Villavent Mechanical Ventilation Heat Recovery system efficiently replaces all the air in your home to a capacity of once every two hours. 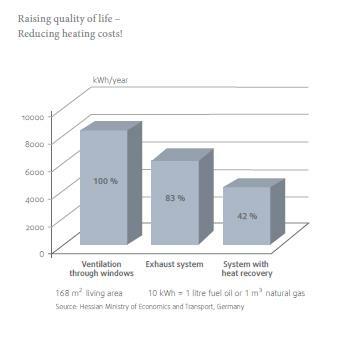 (Mechanical Ventilation Heat Recovery is also referred to as MVHR, HRV and Heat Recovery Ventilation Systems). The fresh incoming air is filtered, typically through an EU7 Pollen filter where fine allergy causing and air polluting particles are removed. Filtration performance forms a fundamental element of improving indoor air quality. This incoming, filtered, fresh air passes through a high efficiency heat exchanger (Normally rotary or counter flow in form). The fresh air receives heat from the stale air extracted from the home with an efficiency of 80-90% as they pass through the heat exchanger. 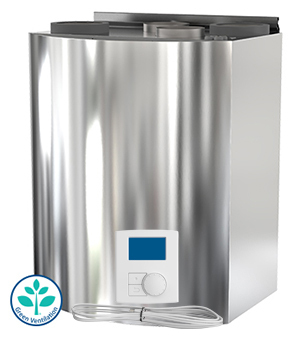 Our HomecAir Villavent System is Scandinavian, designed and manufactured. Renowned for total quality and reliability it boasts a forty year history with a thirty year history in the UK and Ireland. The primary benefit of this system is correct ventilation, to achieve a healthy indoor environment in new and existing homes. The first versions of these systems were developed using scaled down techniques and knowledge from commercial systems to allow houses to be sealed as much as possible. A ‘sealed’ home will not ‘work’ without mechanical ventilation and heat recovery (heat recovery ventilation). Allows for energy saving through heat recovery. Indoor humidity and possibility of condensation is reduced, preserving the building fabric. Allows for design of a sealed, airtight building for greater energy savings. Complements the heat retention of quality windows and insulation. Allows windows to remain closed for security and a more insect free indoor environment. Homecare Systems take great pride in our systems, which we have installed throughout Northern Ireland, Ireland and the UK. We retain the most experienced design and installation team to ensure you know your system is installed to optimum effect.